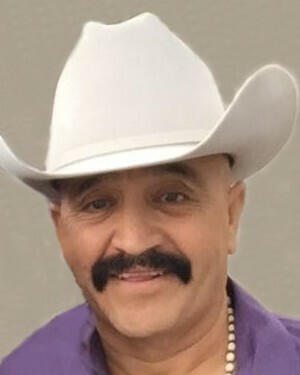 Luis Perez Cano, 61, of Amarillo passed away Thursday, July 5, 2018. Funeral Service will be held 2:00 p.m. Tuesday, July 10, 2018 at Iglesia Bautista Fuente Viva, 2709 S. Manhattan, Amarillo, Texas. Luis was born August 8, 1956 in Mexico to Jesus & Antonia Perez. He married Ma Magdalena Padilla January 11, 2017 in Amarillo. Luis is preceded in death by his mother and father, Jesus and Antonina Perez; brothers, Florencio Perez, Carlos Perez, Salvador Perez, Fortino Perez and sisters, Francisca Perez and Concepcion Perez. Luis is survived by his wife, Ma Magdalena Padilla Perez; his children, Haydee Perez of Dallas, TX, Luis Perez and wife Jane of San Diego, CA, Armando Perez and wife Olga of Dallas, TX , Omar Perez and wife Beatriz of Amarillo, TX, and Yesenia Perez of Amarillo, TX, Juan Angel Zamora Padilla, Juan Daniel Zamora Padilla, Andrea Magdelena Zamora Padilla, all of Monterey, Mexico; his brothers, Antonio Perez and Cesario Perez; his sister Augustina Perez; and his grandchildren, Alex (15), Chrystal (14), Mia (12), Oscar (9), Jarius (8), Jarian (6), Eli (5), Giovanni (3), and Sofia (2).